Hi friends!! 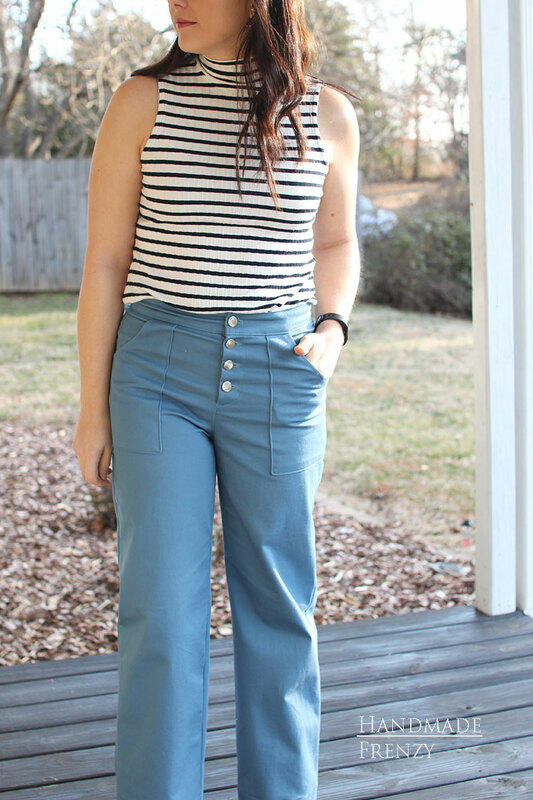 I'm so excited to show you my Nikko Tops I made during testing! 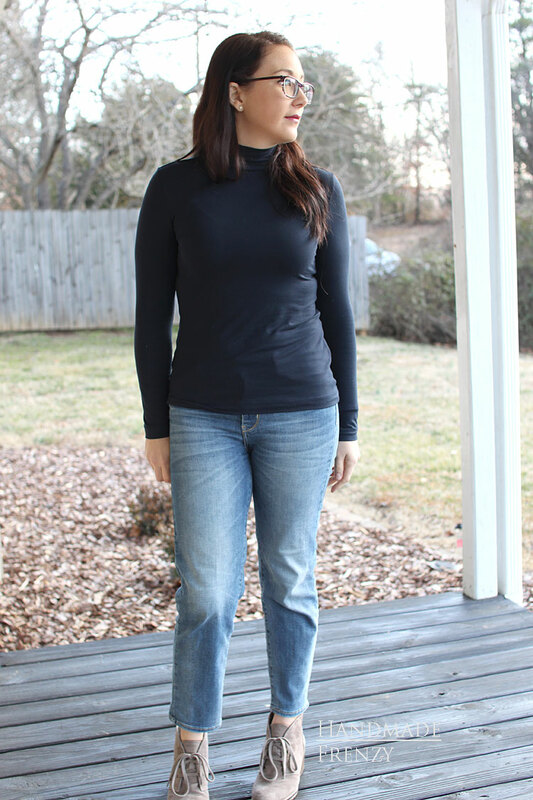 The Nikko Top and Dress Pattern is a fitted, mock turtleneck top. It comes with 4 views. Long sleeve top, sleeveless top, long sleeve and sleeveless dress with hem splits. 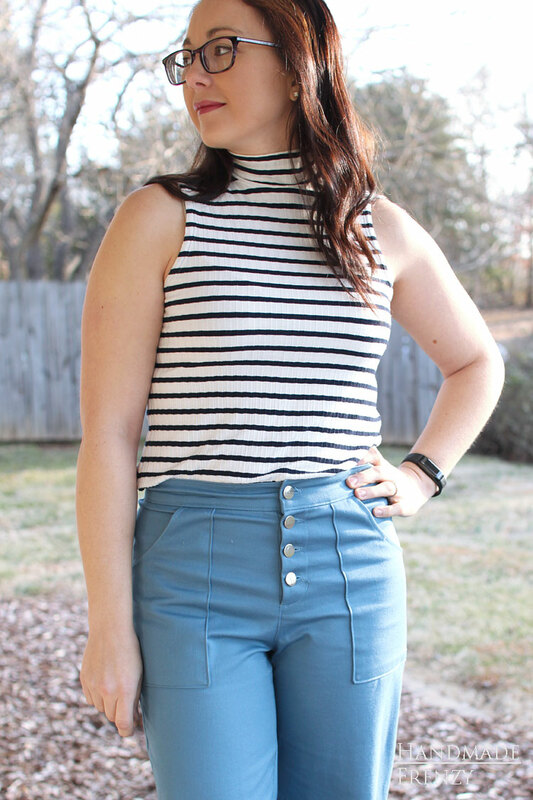 This top is the perfect layering piece! 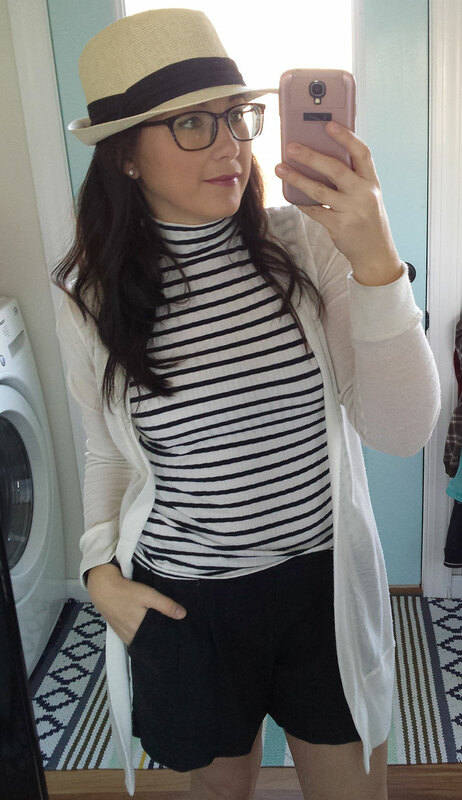 I love, love, love, the long sleeve version layered under my Blackwood Cardigan. It is perfect for our colder winter we are having this year! Actually, they both look great under my Blackwood!! This pattern is perfect for tucking into high-waisted styles. Like the Lander Pants! But I'm pretty sure that my favorite way to wear this sleeveless version is going to be with my Emerson Shorts that I absolutely live in during the summer. The recommended fabrics for this pattern are rib knits and bamboo knits with at least 70% stretch. This is important because the stretch is needed to get the top over your head. 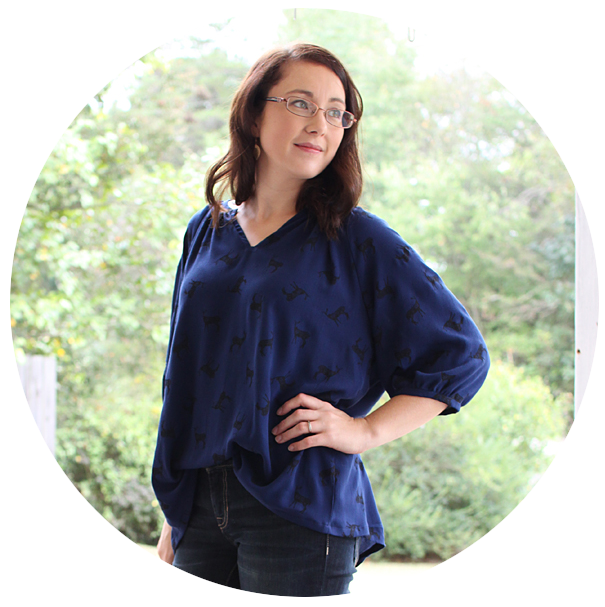 I used a bamboo knit for the long sleeve version and I love the buttery softness of it! I found it to be much more close fitting than the rib knit, which makes sense because rib knits do tend to have a lot more give. For future versions, I will look for lovely rib knits, I'm just loving how this pattern looks in a rib! I also love it in the bamboo, and the next time I make one up, I'll probably add in a little more ease through the waist, just for personal preference. Kelli did make a few small changes to the pattern since these tester versions. She lengthened the sleeves slightly, added more ease to the neckband and also added an inch more ease in the hips. For the sleeveless version she also added a bit more coverage to the front arm hole. So in summary, this pattern is a great wardrobe staple!! I can't wait to sew up a few more and make a couple of dresses as well. I've got the fabric all ready to go! ps. The morning I decided to take these photos it was 30 degrees! So the look on my face is "I'm freezing!!" and I also forgot about my non-matching fitness tracker. Lol. Oops! Both of the fabrics I used for testing were purchased from fabric.com.